The Division of Child and Adolescent Psychiatry and Psychology provides an array of clinical services through efforts of six child and adolescent psychiatrists, three child and adolescent psychologists, 10 advanced trainees in fields of child and adolescent psychiatry and child and adolescent psychology, and eight clinicians who are on the staff of the University of Louisville Physicians-Bingham Clinic. These services cover a broad range of clinical disorders, provide a continuum of care for the community, and serve as a local and regional resource for the most complex psychiatric problems of children and adolescents. The Norton Children’s Hospital Emergency Room is the primary receiving facility for acute child and adolescent psychiatric emergencies. The division provides 24-hour coverage for this service, including face to face consultations throughout the week, and emergency consultations on the weekend. The service evaluates approximately 800-1,000 children per year. The 20-bed Ackerly Child Inpatient Unit at Norton Children’s Hospital provides intensive diagnostic and treatment services for severely disturbed children and adolescents. These services include psychiatric and psychological evaluation, individual, group and family therapies and educational evaluations. Many children require medical evaluations in the coordination of psychiatric treatment; this is provided by consultants from the Norton Children’s Hospital. Hospitalizations are as brief as possible and discharge planning is initiated at the time of admission to allow the most appropriate follow up care to be provided. Ackerly has become a regional referral center with an excellent reputation. 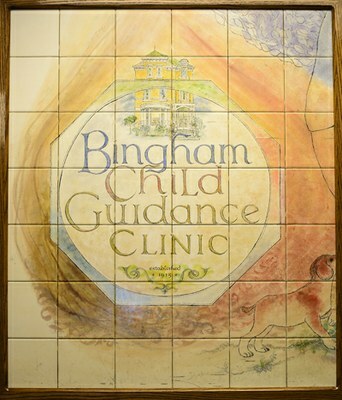 The Bingham Clinic has been in existence since 1913 and is one of the oldest child guidance centers in the country. For over two generations, the clinic has been a vital part of the activities of the department of psychiatry of the University of Louisville School of Medicine, but transitioned into the Department of Pediatrics December 1, 2012. The clinic provides outpatient psychiatric services for local children and for children throughout the region. These services include careful psychiatric and psychological evaluation and treatments, including pharmacotherapy, individual psychotherapy, family therapy, and education. Unique aspects of outpatient services include: evaluation and coordination of care of autistic children, evaluation of children who set fires, treatments for children with chronic illness, assessment and treatment of adolescent females with sexual behavior problems, and specialized family consultations. The division provides active consultation liaison services to the pediatric wards of Norton Children’s Hospital. Helping children of families cope with illness and the effects of trauma, as well as acute sequelae of suicide attempts, are the most common interventions provided. The Consultation Team includes the chief of the service, several child and adolescent psychologists, and consulting trainees in both psychology and psychiatry. This program has expanded to provide specialty consultation services to cystic fibrosis and hematology and oncology patients. The service identifies patients for the outpatient CHIRP Program. The service evaluates approximately 500 children per year, and reached their 1,000th patient seen in 2016.